90's superheroes, friends! 90's superheroes! I could not have been more excited for the 90’s throwback superhero movie Captain Marvel. Sure, we got the photos last week, but when the trailer dropped that’s when we realized we’re about to get something pretty damn special. 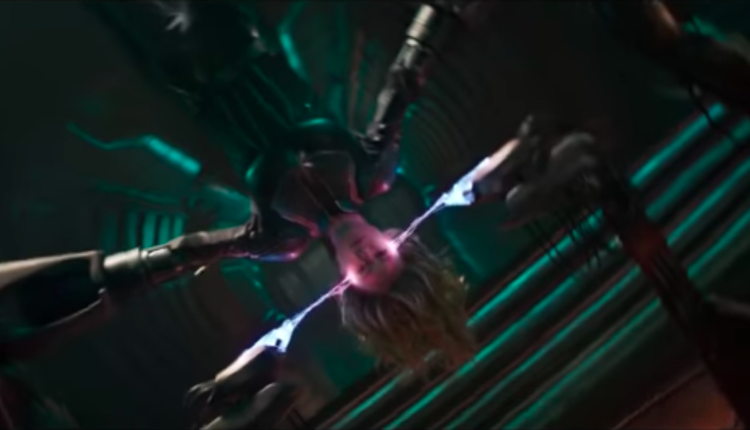 The trailer opens up with that flair of humor and weirdness that Marvel’s cosmic fair is known for, with Captain Marvel crash landing into that business that we have all mourned ten times over, we’re talking… a Blockbuster Video. Whoa! All my memory centers are sparking! Bzap! This trailer offers us a little more of the story which hints at both origin stories for Nick Fury, who was ready to quit being a high end superspy and international man of mystery before he met Captain Marvel, and at a mind bending super story that feels like something concocted from the hands Wachowski Sisters. Are Captain Marvel’s memories her own? Were they embedded by an alien technology? I don’t know! What do I look like, a psychic? You’re gojng to have to see the movie to find out! Then there’s the trailer’s editing! Ugh, that editing! We see Carol Danvers as a little girl, as a teenager, and then edited into the powerful superhero we will all love when the movie comes out next year. I am ready for a mind bending 90’s style action movie using the latest Marvel character everyone is going to lose their minds over. Remember when the general public discovered the Guardians of the Galaxy and Black Panther and went “Why, who are these incredible so and so’s! ?” Well, that’s how they’re going to react to Carol Danvers. Frankly, we cannot wait. What do you think of the Captain Marvel trailer? Are you excited to see the Skrulls? Or do you fear their shape shifting abilities? Anyway, let us know in the comments or on Twitter at @WhatsTrending.